Google loves renaming things over and over again, and today is a new example of that. 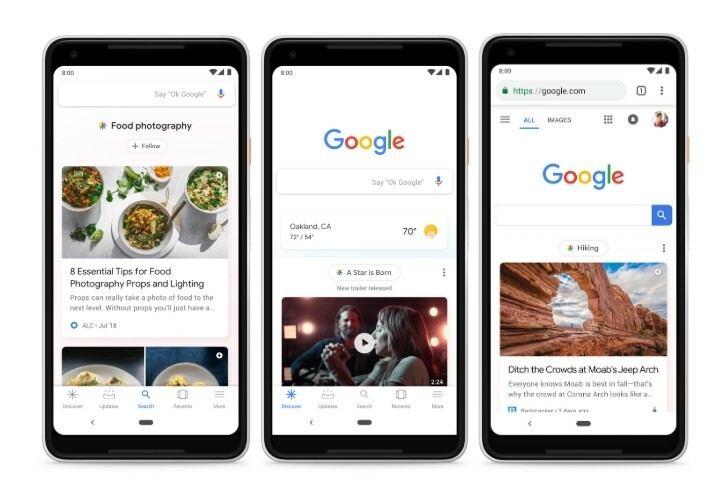 The service previously known as Google Feed is now Google Discover. The company says the new moniker better reflects the service's mission, which is to help you uncover fresh and interesting content about things you care for. Discover can be found inside the Google app for Android, and in a special pane to the left of the leftmost home screen on Pixels, Android One devices, and Sony smartphones. It's also coming soon to the Google.com mobile website. New features are built in too, like the topic headers that explain why you're seeing a particular card. Tapping on the header will let you dive deeper into that topic. You can follow a topic to start seeing more about it in the future. New types of content are coming to Discover, including more videos as well as evergreen things - articles that aren't new to the web, but are new to you. Say you're planning a trip - a travel guide published three months ago suddenly becomes relevant to you, so you'll see it. This also works when you're taking up a new hobby or going deeper on a long-time interest. You can tell Discover whether you want more or less content on any topic, and for news you will get a variety of perspectives. It's even able to show content in multiple languages - so if you use recipes in Spanish, for example, and read news in English, you will see the content according to those preferences.